In vitro culture conditions and kinetin induced quantitative modifications in the production of the major volatile constituents in Micromeria croatica plantlets. Antimicrobial activity of methanolic extracts obtained from micropropagated and wild-growing plants was evaluated. Micromeria spp. are aromatic plants, many of which were shown to exhibit various biological effects. The present study aimed to determine the content and the composition of the essential oil of in vitro-cultured Micromeria croatica (Pers.) Schott and to evaluate the in vitro antimicrobial activity of its methanolic extract, in order to compare its phytochemical profile and biological activity with wild-growing plants. Shoots regenerated on MS medium without plant growth regulators (PGRs) or supplemented with kinetin were used for phytochemical analysis. Essential oils from both native plant material and in vitro-cultivated M. croatica plants, with a total of 44 identified constituents, were dominated by oxygenated monoterpenes. Borneol was the main component detected in wild-growing plants (25.28%) and micropropagated plants grown on PGR-free medium (20.30%). Kinetin treatment led to increased oil yield and favored the production of oxygenated monoterpenes, dominated by geranial (33.53%) and cis-p-mentha-1(7),8-dien-ol (23.69%). The percentage of total sesquiterpenoids in micropropagated plant material was considerably lower than in wild-growing plants. In vitro culture conditions and PGRs affected the production of essential oils, inducing quantitative modifications in the production of the major volatile constituents in M. croatica plantlets. The antimicrobial activity of M. croatica methanolic extracts was investigated using the broth microdilution method. Extracts obtained from in vitro cultures generally exhibited greater antibacterial potential, compared to wild-growing plants. Among six bacterial strains tested, Bacillus cereus and Staphylococcus aureus were the most sensitive microorganisms. The present study provided evidence that in vitro culture conditions might favorably affect the antimicrobial activity of M. croatica methanolic extracts. This research was financially supported by the Ministry of Education, Science and Technological Development of the Republic of Serbia, Grant nos. 173015, 173021 and 173030. 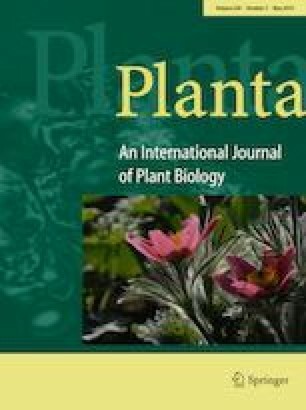 The authors express their gratitude to Vesna Stankov-Jovanović for providing us with plant extracts. Valuable discussion with Dijana Krstić Milošević is acknowledged.